I have been tremendously blessed with some "imaginary friends" in my parenting journey, many of whom have turned into real-life friends. These amazing people showed me how to change from a punitive parenting style to a grace-based style of parenting that focused more on training the hearts of my children and applying natural consequences. By the time my third child came along, I felt pretty confident that I could parent a baby, toddler, and preschooler. I was even doing pretty well with my elementary-aged girls. Now my girls have become teenagers, and I find parenting a 7-year-old boy to be exceptionally challenging some days. Suddenly, I feel like I have no idea what I'm doing - again - and am back to really needing some help! I was intrigued by what I heard about a new book by Dr. James D. Dempsey, titled Parenting Unchained: Overcoming the Ten Deceptions that Shackle Christian Parents. I was delighted to be chosen as part of the review team. It's all about your kids; your character doesn't matter. You're capable; you can do this. God only cares about rules. You can be a parent without investing much time. Teaching the right information is enough. Why and how you discipline doesn't matter - just make them obey. You don't need to talk about your faith. Children should choose their life course (you don't need to help them). It's all about consistency (you don't need to adapt). Do any of those sound familiar? At one time or another, I've tried them all. Remember the old saying, "Do as I say, not as I do?" That seems to cover many of these, and as I know from being a child and hearing that, it really doesn't fly. When I first started homeschooling my children, a wiser mom than I said, "People think homeschooling is all about the children, but it's really about growing the mama." She was so right. Parenting is a tough gig for anyone, but when your children are with you all day, every day, your sin is constantly visible to them, front and center. I have more opportunities to lose my temper, to contradict myself, to fail to keep my word... yeah. It's not for the faint of heart, that's for sure. As Dr. Dempsey discusses each of the ten deceptions, he points out what the truth is, by using examples from Scripture. There are also study questions and action steps that go along with each one. For example, he suggests keeping a notebook on the spiritual truths we learn through parenting. He also asks us to look at our experience with our own parents, in order to be able to recognize how our past affects our present with our own children. I have found that to be a very helpful exercise. 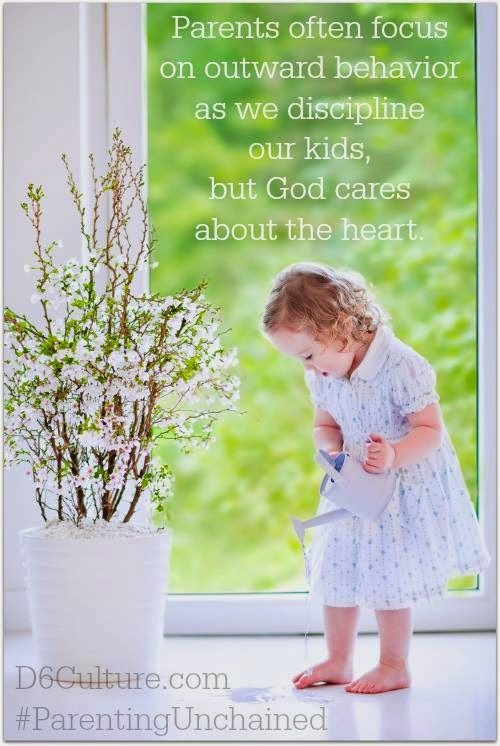 What Dr. Dempsey does in this book is show that parents can learn a lot about parenting from the Bible, and not just from the verses that specifically mention parents and children. There is much to be learned in how God parented the children of Israel, and in how Jesus taught and prepared His disciples. I have struggled in many areas of life with the need to be intentional. I remember taking a class on financial management, and learned that I not only needed to be intentional about finances, but about my marriage and about parenting, too. I was, frankly, overwhelmed. I didn't even know where to start! I had been muddling through, day by day, thinking if I tried my best, it would be enough. I have learned, though, that in order to be able to do my best, I have to be intentional about what I'm doing, and that means constantly learning and adapting as my children grow and change. This book is an easy read, and yet challenges me to remember how critical my job as a parent is. It's an excellent resource to keep what's important at the forefront of my thinking all the time. It's helping me be aware, to pay attention, to keep my focus on the Lord and therefore be listening to His guidance as I raise my children. I hope you'll take a look at it! It's a worthy read. THROUGH FRIDAY, DECEMBER 12, 2014, Parenting Unchained is available for Kindle for $0.99! The paperback version is available from Amazon for $12.38, also. I like the print version, myself, for underlining and taking notes. Thanks for sharing this review Beth. Somewhere along the way I developed the belief that life should be easy for a person in God's family. When I became aware of this false belief it really changed my life. God will allow us to suffer and struggle in order to develop our character. I like the way Jim Dempsey takes us back to Scripture, but also shares from his life. May the Lord bless you and keep you. Ed, I have realized recently that I have been living with that same belief! It's always such a shock to me to learn I'm believing these things which, in retrospect, seem a little crazy! Very grateful for this book.